SEOUL, Jun. 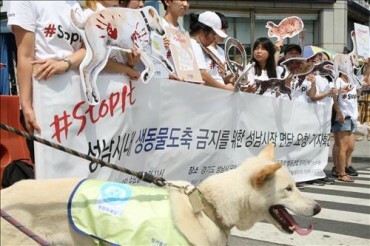 30 (Korea Bizwire) — The recent drought in Korea, still not mitigated by rain on June 25 and 26, is so severe that it is triggering the development of serious algal bloom in the Han River and rivers in Daegu and Gangwondo, causing stranding masses of fish in Goyang. 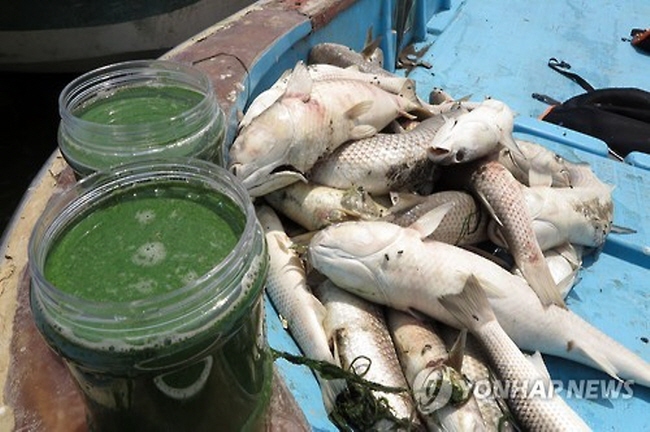 Fishermen around the Han River in Goyang said that they have never witnessed such thick algal bloom before, and pulled a large amount of dead fish from the water on June 28. 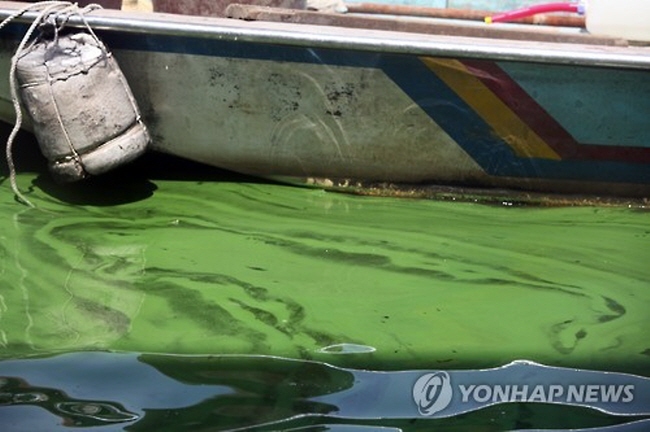 Concentrations of chlorophyll-a and blue-green algae cells in the Nakdong River also surpassed levels which will require Daegu officials to soon issue alerts on river conditions. 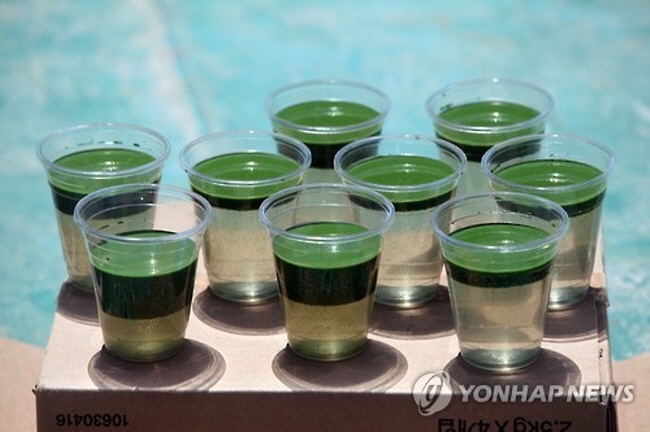 Uiam Lake, even after getting showered with rain on June 25, is also showing early signs of blue-green algae development, making Chuncheon officials nervous.